HOUSTON – (Realty News Report, By Michelle Leigh Smith) – Houston community leaders and planners have unveiled “Plan Downtown: Converging Culture, Lifestyle and Commerce” – a vision of growth and planned development. The long-range downtown plan calls for the development of 12,000 multifamily units, 4,000 hotel rooms with a cluster around the convention center, a five-mile green belt and extensive changes to transportation methods and activities. As Houston approaches its bicentennial in 2036, the new report is a call for re-visioning downtown, a key element in advancing Houston as a great global city. 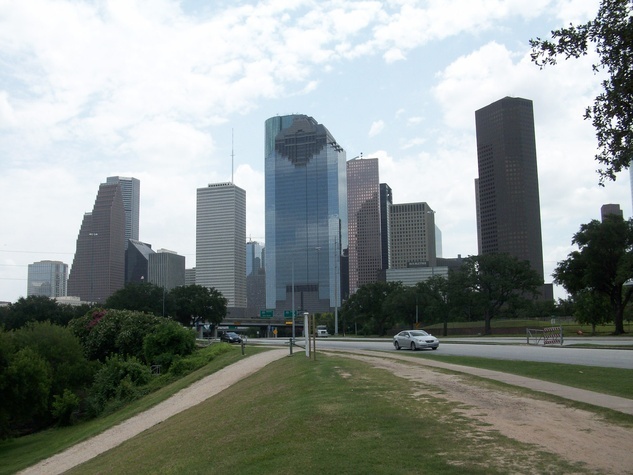 “We want to make Downtown the premier standard for livability, as well as business and government as well as an innovative leader in connectivity,” said Bob Eury, president of Central Houston, Inc. an organization he founded in 1983. Eury, addressing a large audience at a downtown hotel room on Friday, spoke of Houston’s history and what he hopes will happen in the next 19 years. Though it retains its role as the economic engine of the city, Eury questioned how do we diversify into new areas of energy and build a stronger community among corporate leaders? The new study states, “Today Downtown’s new entertainment, dining, nightlife and outdoor options are bringing new vitality to the formerly office-centric core. The plan calls for advance projects and improvements in the 2016 Houston Theater District Master Plan to create an immersive arts and culture environment and improved pedestrian and bicycling connections to Buffalo Bayou, continuing the Bayou’s park and trail enhancements eastward through Downtown. What civic and business leaders saw Friday was the culmination of an 18-month planning effort aimed at Downtown as Houston’s Greatest Place to Be, between partners including the Buffalo Bayou Partnership, Theater District Houston, Greater East End Management District, Midtown Management District, Harris County, the Downtown Redevelopment Authority, Houston First Corporation, the City of Houston and Harris County. The plan calls for an additional 4,000 hotel rooms in Downtown and EaDo to support convention, leisure and business visitation, with a 20-year goal of 12,000 hotel rooms in Downtown, with a minimum of 8,000 rooms within a 10-minute walk of the GRB Convention Center. Also two large convention center hotels will be added, near the eastern corners of the Convention District to enhance convention markets. Another goal will be amenity-rich infill neighborhoods to improve the environments surrounding Downtown’s stadiums. “Some of the architects at Page have had some ideas to repurpose the bridge because they see an opportunity for a linear public amenity that runs through where the Pierce is now, but planning has not progressed enough,” said Eury. TxDOT’s work is expected to begin in late 2019 or early 2020.. Within this cornerstone of the vision, there are plans to design signature attractions such as tree allees, public art, and bridges of Buffalo and White Oak Bayous to present new skyline panoramas of Downtown and develop civic spaces like libraries, schools and community centers that front the Green Loop in support of the central city. The Green Loop is the epicenter of the new Bayous Greenways 20/20 initiative, to be used as the trailhead for visitors to discover Houston’s bayous and trails. Plan Downtown poses the question: What makes a great street? Among the qualities are outdoor seating, flowers, plants and trees, continuity of development, pedestrian lighting, high quality materials, well-designed signage, color and texture, unique storefronts and indoor and outdoor transparency. There is also a consideration to connect entrances to the tunnel and skywalk network that supports the sidewalk and ground floor experiences, offering pedestrians a more legible and seamless flow between indoor and outdoor walking routes. The plan boasts that Downtown has been Houston’s “leader in constructing Complete Streets, and almost 80 percent of Downtown’s streets and sidewalks have been rebuilt, most notably the Cotswold Project, Main Street, Downtown Transit Streets, the Lamar Cycletrack, Dallas Street and Avenida Houston.” The plan calls for Downtown Design Guidelines for Caroline and McKinney Street, with green walls, canopies, tree planting and building ground floors and public spaces with standards for flood protection and resilience. It is unclear from the presentation how much of the plan was developed pre-Harvey. Surely some of the proposed underground features will be re-thought as lessons are learned from the massive losses at the Alley Theater, the Wortham Theaters and the loss of the new Jury Assembly room in the County’s courthouse complex, which spreads across a dozen city blocks in north Downtown. Consultants Asakura Robinson, HR&A Advisors, Sasaki Associates and Traffic Engineers, Inc. contributed to the report. The depression of the freeways is expected to come with a new park – a surface-level lid of green space over the freeway below. As he introduced “Converging Culture, Lifestyle and Commerce” to more than 1,000 guests in the ballroom of the Hilton of the Americas last week, Eury’s enthusiasm for Houston was contagious. He wore a World Champion World Series Astros cap.